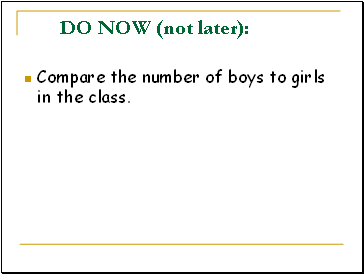 Compare the number of boys to girls in the class. _ boys to _ girls. What do we call a comparison between two or more quantities? We just found the RATIO of boys to girls. 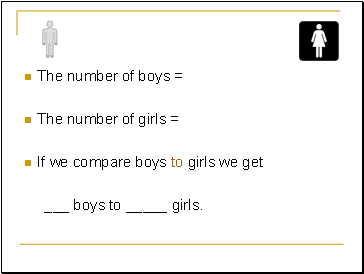 Is the ratio of girls to boys the same ? No, when writing a ratio, ORDER matters. The ratio of girls to guys is 2 to 12. 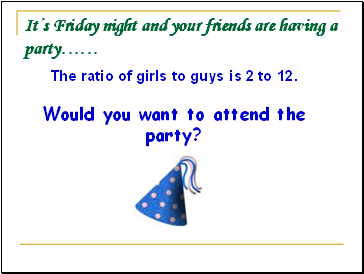 Would you want to attend the party? 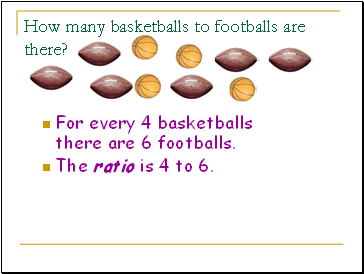 How many basketballs to footballs are there? For every 4 basketballs there are 6 footballs. The ratio is 4 to 6. 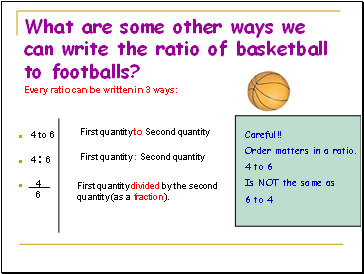 What are some other ways we can write the ratio of basketball to footballs? First quantity divided by the second quantity (as a fraction). 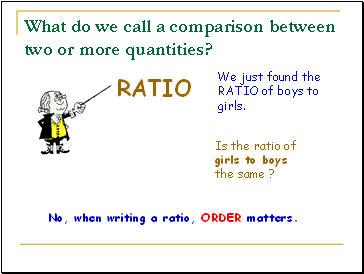 Order matters in a ratio. 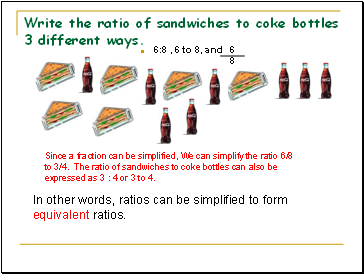 Write the ratio of sandwiches to coke bottles 3 different ways. Since a fraction can be simplified, We can simplify the ratio 6/8 to 3/4. The ratio of sandwiches to coke bottles can also be expressed as 3 : 4 or 3 to 4. 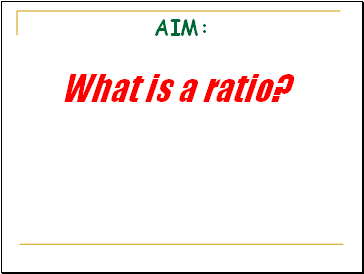 In other words, ratios can be simplified to form equivalent ratios. 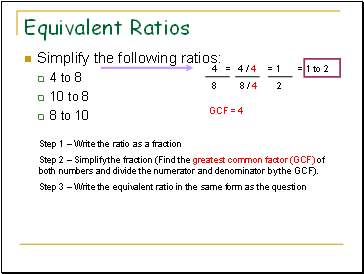 Step 2 – Simplify the fraction (Find the greatest common factor (GCF) of both numbers and divide the numerator and denominator by the GCF). 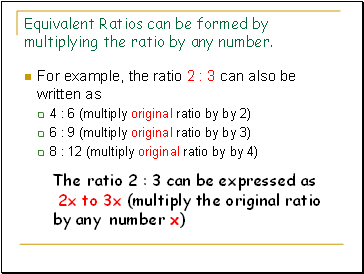 Equivalent Ratios can be formed by multiplying the ratio by any number.